← DETROITERS STORM COUNCIL NOV. 20 TO STOP TAKEOVERS; BING PLOTS TO RECONSIDER CONTRACTS, MON. NOV. 26 1 P.M.
Protest at Aiyana’s home shortly after Detroit cop Joseph Weekley shot her to death May 16, 2010. 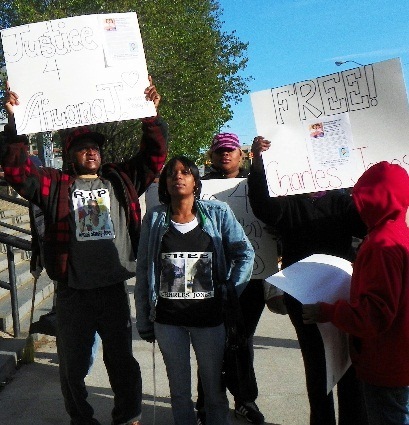 Aiyana Stanley Jones’ grandfather Jimmie Stanley (l) and mother Dominika Stanley (center) during protest at Frank Murphy Hall April 23, 2012. 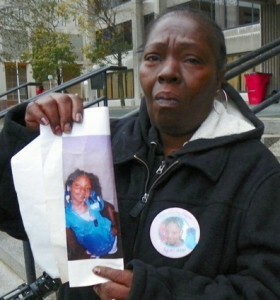 DETROIT – Aiyana Stanley-Jones’ mother, grandmother, grandfather and aunt sat directly behind a stone-faced Joseph Weekley, the Detroit police officer who shot the sleeping seven-year-old child to death May 16, 2010, prior to another in a seemingly unending series of court hearings Nov. 30. Wayne County Circuit Court Judge Cynthia Gray Hathaway postponed delivering her decision on a defense motion to dismiss charges of “involuntary manslaughter” and “reckless use of a firearm” against Weekley until March 8, 2013, and set a trial date for April 8, 2013. Weekley, who was not charged until Oct. 14, 2011, was originally to have been tried April 30, 2012. 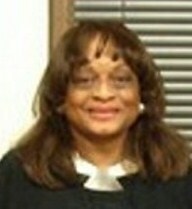 Wayne County Circuit Court Judge Cynthia Gray Hathaway. Hathaway has repeatedly postponed Weekley’s trial, agreeing in open court with the prosecution and defense that Weekley should not be tried until after Aiyana’s father Charles Jones is tried on first-degree murder charges brought against him 17 months after Aiyana’s killing, in the death of Je’Rean Blake. Wayne County Circuit Court Judge Richard Skutt, who is handling that case, earlier barred the testimony of jail-house snitch Jay Schlenkerman against Jones. His trial has been postponed since an Appeals Court ruling which overturned that decision, as the parties await a Supreme Court ruling on the matter. San Francisco police demonstrate use of “flash-bang” grenade. Hathaway also indefinitely delayed a demonstration of the use of a “flash-bang” grenade like the one thrown through the window over Aiyana seconds before her death, due to insufficient notice. The gruesome re-enactment had been set for Nov. 30, the date of the hearing, at an undisclosed address on Detroit’s impoverished east-side, to assist Hathaway in considering the defense motion to dismiss. The defense contends among other issues that Weekley was dis-oriented by the explosion when he entered the home. 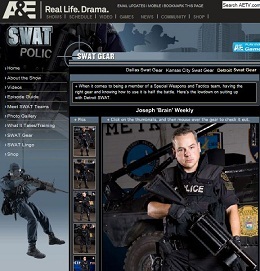 Killer cop Joseph “Brain” Weekley on The First 48 website. Jones was sleeping on the couch with Aiyana when Weekley burst in and shot the little girl through the top of her head. She said the grenade had already gone off and that Weekley did not appear dis-oriented. She herself was held by police for several days on claims that she “interfered” with Weekley, causing his gun to go off. The A&E reality cop show “The First 48,” which featured Weekley as a star, filmed the May 16, 2010 raid on Aiyana’s home. Re-runs of his shows are still playing on the A & E Channel through Blockbuster Home. Aiyana’s supporters say that the proposed “flash-bang” demonstration diverts attention away from the question of why the flash-bang and a military-style raid were used in the first place, at a home full of toddlers whose toys were strewn all over the yard. Her family said they want not only Weekley, but everyone involved in the raid and the police chain of command which ordered it, charged and tried in the child’s death. Aiyana’s mother Dominika Stanley and her aunt LaKrystal Sanders were also present during the Nov. 30 hearing. Mertilla Jones, at Frank Murphy courthouse before previous Weekley hearing, shows her grandaughter’s photo. Distressed family members said Assistant Prosecutor Robert Moran, who is prosecuting both Weekley and Jones in what the prosecutor’s office denies is a conflict of interest, has not spoken with them once about the case against Weekley. They said the Office of Victim’s Rights has not been in touch either, to notify them of hearings or other information. At a previous hearing, Moran called the Jones case a “companion” case to Weekley’s, but quickly corrected himself. He has however repeatedly said that the Weekley trial should be held after the Jones trial, despite Miller’s comments that the two are separate cases. 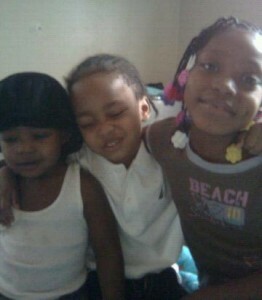 Aiyana Stanley-Jones (r) with little brothers. Her grandmother Mertilla Jones said cops trained guns on her brothers when they arrested her father Charles last year. In a lengthy lecture to the electronic media, Judge Hathaway again made the two cases seem as one. Detroit police who raided the Jones home after midnight were looking for Chauncey Owens, who lived upstairs from the Jones family in a two-family flat, with a warrant related to the killing of Je’Rean Blake, 17, two days before. According to Attorney Geoffrey Fieger, who filed a civil suit against the police days after Aiyana’s killing, Owens left the house earlier in the day in full view of officers surveilling the place, and could easily have been arrested then. Hathaway said someone from “the electronic media,” who she did not identify, had contacted her staff prior to the scheduled “flash-bang” re-enactment and insisted that they would be present despite her order excluding the media. She also said the prosecutor had not confirmed the time and location of the re-enactment until the day before. 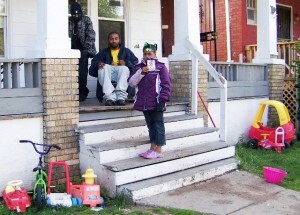 This was the home in which Detroit police killed Aiyana May 16, 2010. Her father Charles sits on porch behind her classmate, with toys that were all over yard when police invaded. 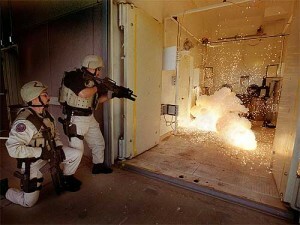 Now the court is considering a “flash-bang” demo at a similar home. Hathaway said not only she, but members of her staff and deputy sheriffs were to be present at the demonstration. She expressed concern for the safety of those individuals, but said nothing about the safety of neighbors or their reaction to watching such a spectacle in their neighborhood. Moran said during the hearing that the Michigan State Police had selected a house from among 200 houses on the east side identified by the Detroit Department of Buildings and Safety as “similar” to the Jones family’s home on Lillibridge near Mack at the time.